Michael B. Jordan’s Gen: LOCK character, Julian Chase. Michael B. Jordan, noted anime fan, is kinda-sorta getting to star in an anime! Only kinda-sorta though, as it’s anime-inspired rather than you know, actual anime, but still! Michael B. Jordan gets his own giant robot! 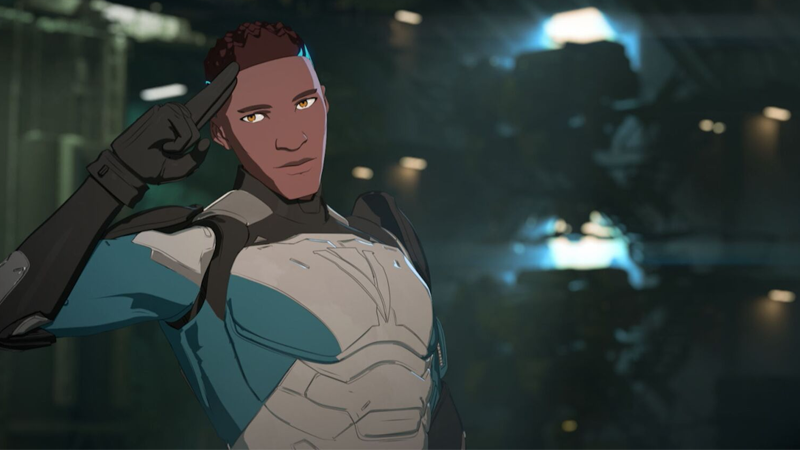 Rooster Teeth has officially announced that Jordan will star in its upcoming mecha series Gen: LOCK, the company’s next animated show after the wild success of its action-adventure series RWBY. Jordan will play Julian Chase, a young fighter pilot recruited by one of the last bastions of freedom on a future Earth desperate to turn the tide in a global war consuming the planet. With kickass giant robots! Chase, alongside his fellow recruits, are granted access to untold power thanks to a new generation of giant mecha, only to find that his strength and endurance is going to be tested beyond measure to really get to grips with his new career. As well as starring in the series, Jordan’s production company, Outlier Society Productions, will co-produce Gen: LOCK with Rooster Teeth. It’s a pretty major get for Rooster Teeth, given Jordan’s own cultural caché is currently soaring thanks to his recent turns in Black Panther and Fahrenheit 451, and with the Creed sequel on the way. Plus, “Michael B. Jordan in a giant robot” is definitely one way to get us even more interested in this fascinating sounding series! Gen: LOCK is set to air through Rooster Teeth’s website and streaming services later this year.